Advance your critical thinking through an empowering, multifaceted course load. Get a glimpse of our classes below or schedule a visit with our Admissions Director at 505-467-6431. Your high school experience opens by collectively seeking to answer questions that focus on ‘the what’. What is the world like? What is it made out of? What has happened here? What was it like before now? 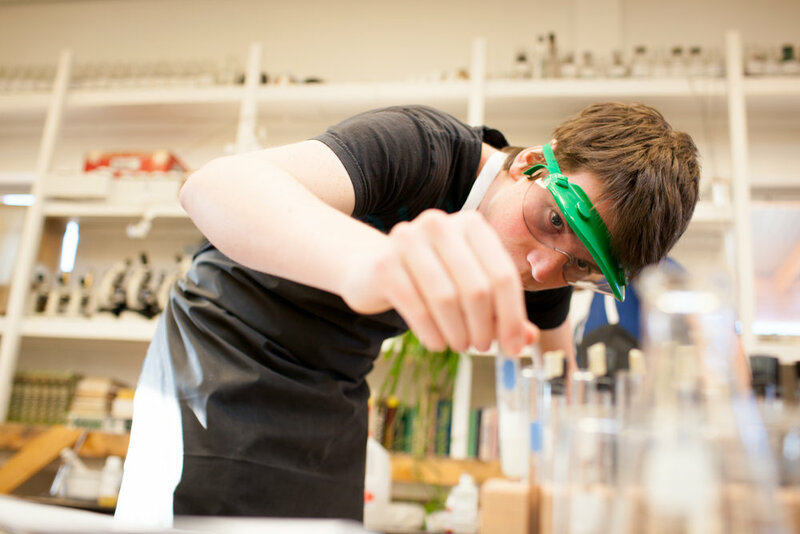 Ninth grade studies include organic chemistry, geometry, and earth science. You also study history through art, becoming aware of evolution in architecture, depictions of nature, and portrayals of the human form over the centuries. As a sophomore, you will sharpen your faculties of comparison, discrimination, and judgment. By tenth grade, you should be more grounded and better suited to ask ‘the how’. How does this work? How can I change the result? You will study mechanics and the laws of force and motion. You will become fluent in Euclidian proofs and English poetry, ancient cultures and the evolution of consciousness. As a junior, you graduate to an advanced understanding of your individual internal world. You shift your attention to ‘the why?’ Why do I exist? Why do elements work this way? Your courses emphasize the powers of analysis and the ability to discern meaning and purpose. You will get acquainted with Persival and Hamlet and question the philosophy of Descartes. You will challenge the physics of electromagnetic fields and turn your attention to internships to engage an emerging interest. Your educational journey culminates with ‘the who’. Who am I? Who do I want to be? By nurturing the powers of synthesis and a capacity for comprehending evolution you explore a range of questions on the nature of reality. Your studies include American transcendentalism, Goethe's Faust, evolutionary theory, and modern economic history. Independent senior projects reflect your emerging individuality as you present a critical thesis of personal research and service. 94% of Santa Fe Waldorf High School graduates enroll in college within a year. of a Waldorf graduate, and key to thriving in the modern world.